(DFW) rates in a core second year mechanical engineering (ME) course. We rigorously study Freeform and its integrated ABC experience for mechanical engineering undergraduate students and faculty at three diverse institutions, as well as for STEM classes in other disciplines newly implementing Freeform principles. Through a progressive research plan that iterates between foundational inquiry and practical implementation, we can better understand the undergraduate engineering student and faculty experience in using ABC structures and to determine supportive strategies for teaching and learning practice. To better understand how innovations in delivery serve all students, we analyze underrepresented or high attrition student groups independently, rather than studying average effects for a whole class. We also track individual student behaviors to better explain differences in student success and better recommend support systems that are tailored to unique students. This research thrust includes the study of a novel mechanical engineering class environment, study of the introductory physics course sequence, and investigation of introductory lab kits for more accessible advanced neuroscience experiments. By studying innovations in delivery across widely varying contexts, including international sites, we can greatly expand the spectrum of tools that can inform improvements to engineering education. Empirical studies indicate that Active learning structures, Blended learning models, and Collaborative learning opportunities (ABC) can enhance achievement and retention in undergraduate STEM. Unfortunately, to date, efforts to employ ABC tools have been largely limited to first year introductory and gateway courses in undergraduate STEM, neglecting deep core classes in the middle two years of study, which are major sources of stopout and underperformance. 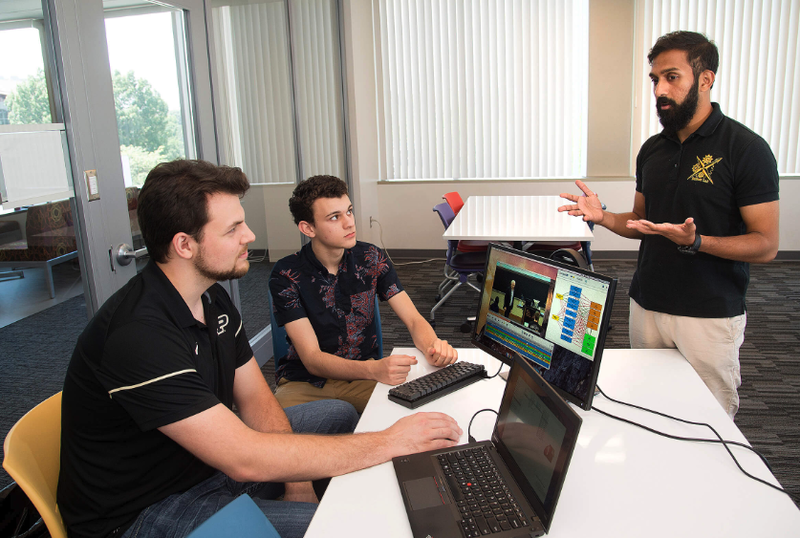 To address this gap, this NSF-funded project studies Purdue’s Mechanics Freeform Classroom (Freeform), a pedagogical framework that fully merges ABC tools and has shown remarkable success in improving pass rates for a core sophomore/junior mechanical engineering course. MEERCat Purdue stands for the Mechanical Engineering Education Research Center at Purdue and launched in June 2017. MEERCat currently houses about $6M of federally-funded research on educating engineers and leverages the strong collaboration among faculty from the Purdue School of Engineering Education (ENE) and the School of Mechanical Engineering (ME). Our mission is to enable the holistic formation of Mechanical Engineers by bridging research & practice. Systematic faculty training in student-centered learning positions engineering instructors to effectively support their learners. However, many faculty around the world do not receive this preparation and, in some contexts are themselves recently out of bachelors’ degrees. In Ethiopia, for example 30 new universities offering engineering or STEM degrees have been built in the last 15 years alone, leaving new faculty unprepared to thrive.